Please click on the links below for downloadable PDF documents. Campbell is a co-founder and Managing Director of K2 Asset Management. In conjunction with this role, Campbell is a Senior Portfolio Manager in the Australian and Asian investment strategies. Campbell was a barrister and solicitor of the Supreme Court of Victoria before moving into financial services in 1986, when he became an Institutional Equities Dealer for Citicorp Scrimgeour Vickers. Prior to founding K2 Campbell was an Executive Vice President of Bankers Trust Australia Ltd, where he was Head of Australian Equities Distribution (Melbourne and Asia). Mark is a co-founder and Executive Director of K2 Asset Management, and is the joint-CIO for the K2 investment funds. In conjunction with his responsibilities as joint-CIO, Mark focuses on the portfolio management of the Asian equity strategy. Mark has many years of Asia-Pacific funds management experience and was previously a senior fund manager with the Abu Dhabi Investment Authority, where he was responsible for Asia ex Japan equity investments. Prior to this Mark was a Director with HSBC Asset Management Hong Kong, where he also specialised in managing Asian portfolios, and an Investment Manager at Wardley Investment Services (Australia) Ltd.
Hollie is Chief Financial Officer and an Executive Director of K2, responsible for all financial accounting and report preparation. Hollie was previously an accountant/auditor at PricewaterhouseCoopers. Hollie is a CPA and has a Bachelor of Business (Accountancy) from RMIT. Robert was formerly a Senior Portfolio Manager for K2 and is currently a Non-Executive Director. Prior to joining K2 Robert held several senior roles at NAB Asset Management, including Head of Australian Equities, and was a Senior Portfolio Manager in listed property, international equities (Asia and Europe) and alternative equity assets. Robert has a Masters of Business Administration from Melbourne University. Matthew joined K2 as a Non-Executive Director in September 2016. Matthew brings more than 30 years' financial services industry experience to the board, having held senior leadership roles in both banking and wealth management. He has a deep understanding of funds management distribution, investment platforms and financial planning. Matthew is currently the Executive General Manager, Wealth Management Services at OneVue Group. 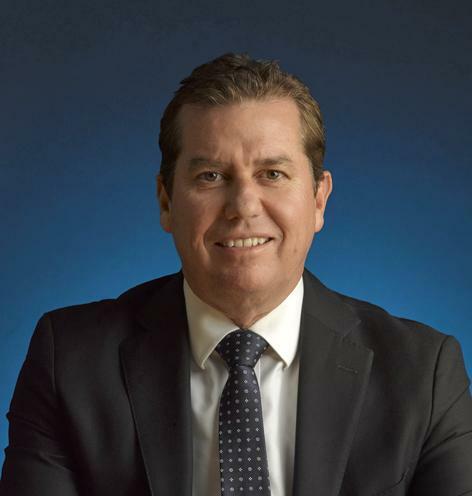 Prior to this Matthew was CEO Wealth Management at Yellow Brick Road (ASX:YBR) and prior to that held senior executive positions at NAB and also MLC where he was Executive General Manager responsible for MLC's financial planning business. Matthew has a Diploma in Financial Planning from Deakin University, a Graduate Diploma Financial Markets from FINSIA and has completed the INSEAD Executive Leadership Program.